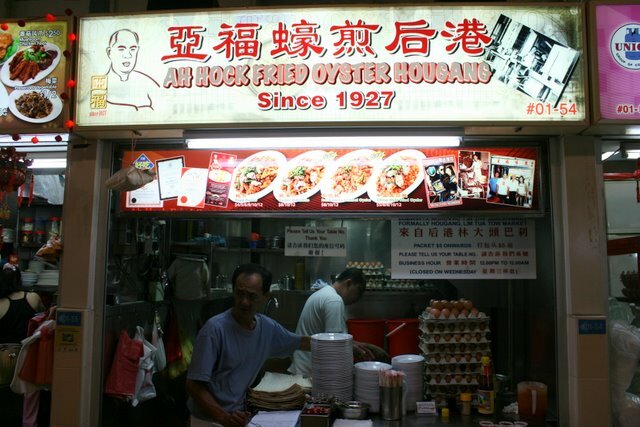 I *finally* hauled myself to Whampoa Drive to sample the famous Ah Hock fried oyster. Did it meet my fantasies of crispy egg and succulent oyster? Well, not completely. There are crispy bits, yes. But there are not many oysters in this dish, and the few that I found were rather small and fiddly. They do have another dish called Fresh Korean Sambal Oyster - so perhaps they use the bigger variety for that. Prices start from S$8 for that though. 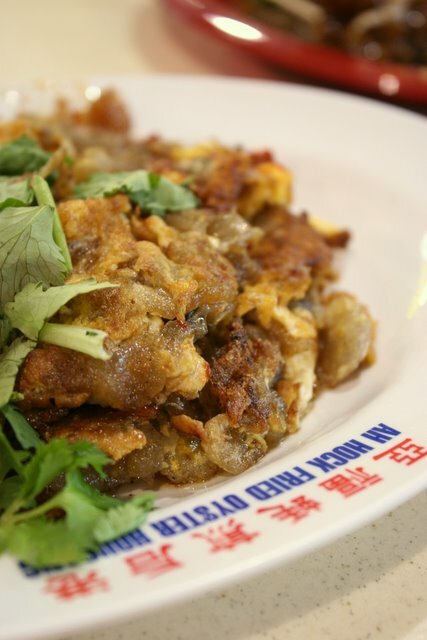 Actually, I like fried oyster most for the gooey starch bits, which absorb the seafood flavours of the dish. In this case, the starchy bits were a little too thick and congealed. The chili sauce provided is a little weak too, but the dish with chili paste itself didn't need more sauce. All in all, it's still not a bad rendition - even hubby said it was pretty good, and he normally shuns this dish. Anyone else has recommendations for good oyster omelette? Portion is infamously small, so be prepared to fork out more, if you want a sizeable dish. They are really fast with orders though. My plate arrived even before I finished looking around and taking photos of the stall! Hi you might be interested with the fied oyster at lorong 9a geylang the same coffeshop with frog legs porridge stall. Or else Batu pahat got nice one too. I suppose crispy bits makes up for it, though oyster small. But chilli sauce weak ah? This dish must have good chilli sauce. 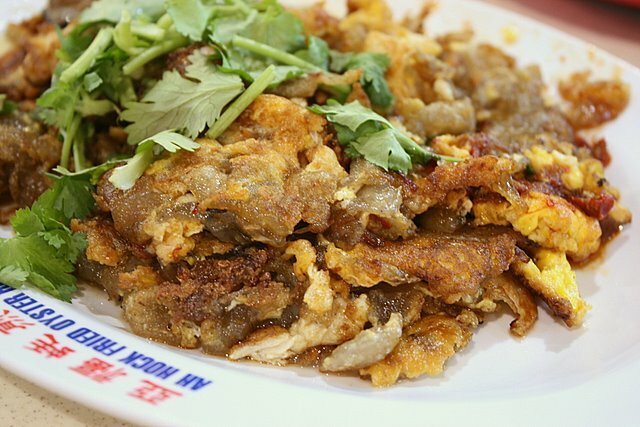 My favourite oyster omelette is at Huat Kee http://www.teochewrestaurant.com/html_en/contactus/index.html, although I'm not sure how it compares to other versions. eh i rmbr i visited a oyster omelette stall in toa payoh lorong 7 where they also use korean big fat oysters and it was marvellous! try that next time. I like the Oyster Omelette at Serangoon Garden Food Centre (not the Chomp Chomp one). The stall is near the Blanco Court Kway Chup stall. Hw uses good quality starch (goey stuff). Hi all, if u're still hunting ard the whampoa market. Theres one more stall beside the Ah Hocks', its jus way the at the other end, besides the fried carrot cake. Thats my preference for fried Oyster. Arrhhh, sorry, can't believe I haven't replied this! Thank you all for comments and oyster omelette recommendations! Will put on my to-eat list! The oyster omelette at the hawker centre in clementi central is nice! There are 2 stalls there, go for the one on the same row as the famous western food stall. The satay stall on the same row is good too. i just try it yesterday.. the standard is getting poor. the boss is only keen on making money.